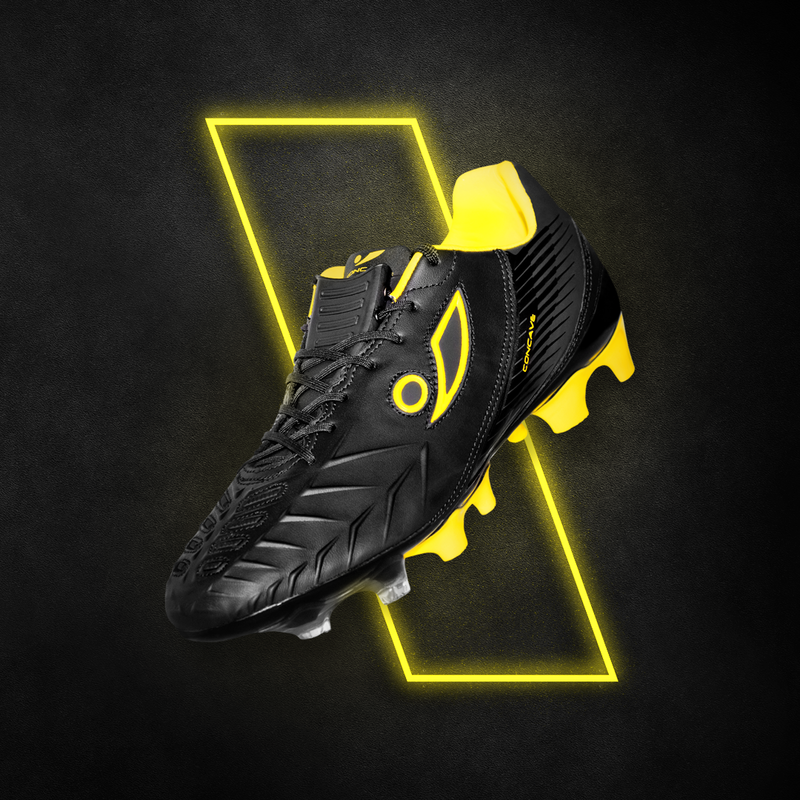 If Borussia Dortmund made football boots, they’d probably look something a little like this. Following the release of the adidas ‘Lone Hunter’ pack earlier this month, it’s fair to say that many of us at FOOTY.COM were struggling to see how we could possibly feel any more spoilt at the start of 2018. Nothing vanquishes the ‘January blues’ quite like the unveiling of a new pair of gorgeous football boots, and so we’re all absolutely buzzing at the sight of these new bad boys from Concave. Not a bad way to kick-off the year, eh? The brand-new ‘Neon Surge’ pack brings a fresh, vibrant colourway to some of Concave’s most popular boot silos- the Volt, Aura and Halo. Incorporating a mixture of striking neon yellows, blacks and whites, it’s fair to say the resulting football boots are even more remarkable than the sight of Lionel Messi waltzing past defences. So, let’s start with the smartest boot in the new collection, shall we? The Concave ‘Neon Surge’ Halo+ utilises a predominantly black colourway, with vibrant neon yellow accents allowing the various logos to become much more prominent. This flamboyant yellow colour is used throughout the inside of the boot, while also being implemented on a large portion of the studs. These boots are perfect for any players that like to sit deep in midfield and control the game. So, if you fancy yourself as a mini Kevin De Bruyne, then the new Halo might be right up your street. Implementing Concave’s signature PowerStrike technology and rubberised welding on the upper, these boots give you everything you need to control the game and increase your shot power. Combine this with its smart and stylish design, and you’ve got yourself one hell of a football boot. In terms of colourway, the new Concave Aura almost acts as a complete reverse to the Halo. 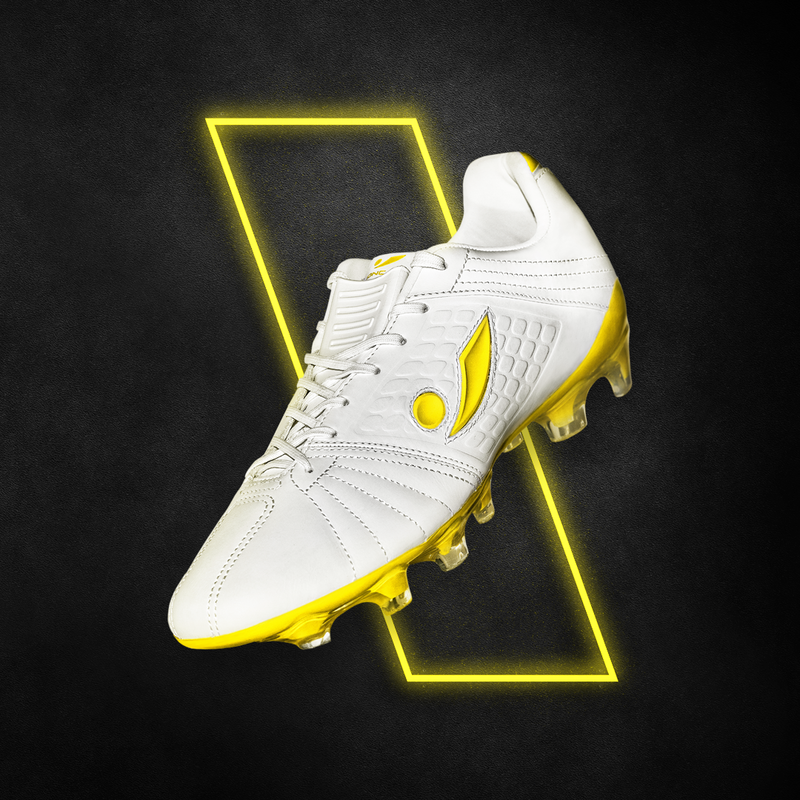 This time, the neon yellow is used alongside a striking white colourway- which dominates much of the design of this boot. However, the yellow is vibrant enough for the logos to still stand out effectively, while combining with the shades of white to create a very stylish football boot indeed. Once again implementing the PowerStrike technology, the ‘Neon Surge’ Aura also includes Football Firm Fit, an innovative bit of lacing tech that essentially offers a bespoke fit to suit all foot shapes. This level of comfort will be incredibly difficult to find in another pair of boots out there, and that’s why these boots are perfect for those dreaming of dictating the play. 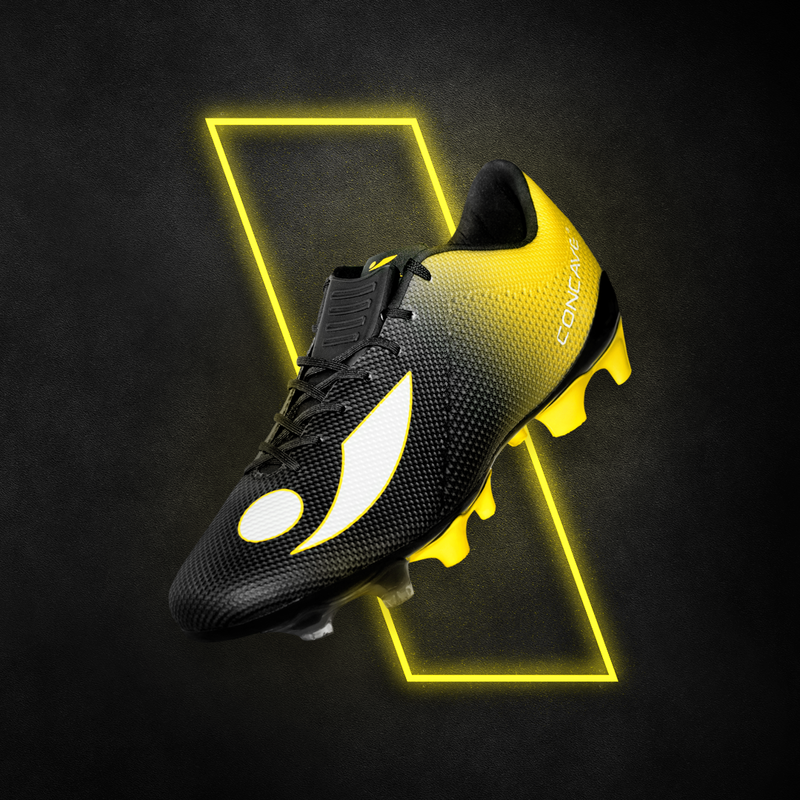 By far and away the flashiest design in the new collection, the Concave ‘Neon Surge’ Volt offers a mixture of the yellows, blacks and whites used in the other designs. Starting with a deep black colour at the toe and then transforming into the extravagant neon yellow towards the heel, the new Volt offers white detailing on the logos to allow them to stand out on such a dazzling design. The Volt+ boots offer an effective combination of the PowerStrike technology and an incredibly lightweight design, providing the perfect solution for any players wanting to make use of their pace without sacrificing their shot accuracy. The last thing you want is to bust a gut flying down the wing, only for the shot at the end of it to end up landing in the car park. Featuring a TechStitch upper and offering seamless comfort, the ‘Neon Surge’ is certainly our favourite of these brand-new Concave football boots. So what are you waiting for? Compare prices on FOOTY.COM today! 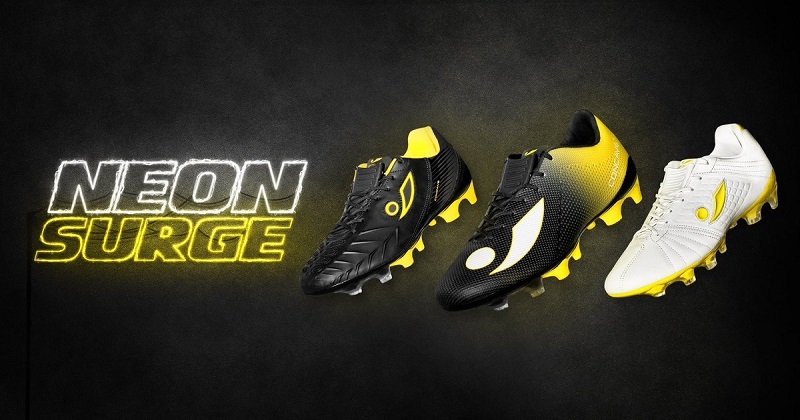 Concave launch their first ever sock boot, as they add an elite VOLT+ to their collection.